Head of the National Iraqi Alliance, Sayyid Ammar al-Hakim in his office in Baghdad met with elders and tribal figures of the Bani Ajil tribe 18/10/2017. His eminence indicated that Iraq is on the stage of service and fight against corruption to accomplish a new achievement added to the military achievements against Daesh, total liberation of the Iraqi soil, enforce the respect of the state through law and the Constitution and preserve the rights and gains of the Iraqi people components. His eminence stressed that Iraq has all elements of success, emphasizing on the need for a management that arrange these scattered infrastructure in service programs capable of achieving a service accomplishment added to the political achievement represented through the unity of Iraq at which is an essential demand of all, plus and the military accomplishment represented by defeating Daesh. His eminence praised the policy of being calm and wise and the enforcement of the law and the Constitution in dealing with the issue of Kirkuk, added that as military successes are achieved with plans and accurate implementation, the country needs to have plans with the same accuracy in order to provide services. 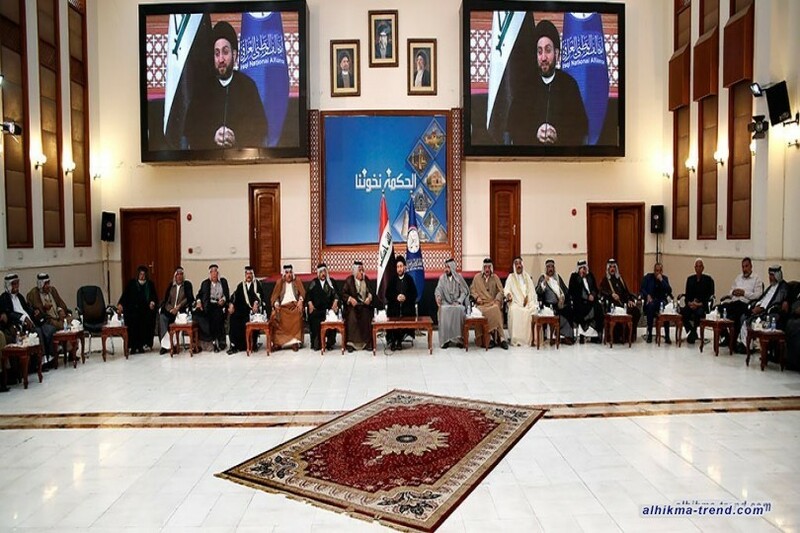 His eminence pointed out that the service based victory depends on the will of the Iraqi people, who will choose the team through the elections, called to elect the right runners who have the project and the program away from slogans without imposing intimidation and provoking sectarianism. His eminence concluded by appreciating the role of tribes in fighting against terrorism and provide support the political process, urging them to contribute in having an appropriate atmosphere to attract and protect investors in order to improve the economic aspect and provide employment opportunities for the country's people.